Creditinfo Tanzania, the first licensed and operational credit reference bureau in Tanzania, in cooperation with the Creditinfo Academy, recently delivered a 2 day “Introduction to Risk Management” training course in Dar Es Salaam, Tanzania. The interactive workshop took place at the Ledger Plaza Beach Hotel on 21st and 22nd October 2014 with attendees including senior bankers, micro-finance and other professionals responsible for maintaining top quality loan portfolios, identifying risk management opportunities and designing financial solutions for clients in an evolving credit environment. Accrording to Davith Kahwa, Executive Director of Creditinfo Tanzania , companies who have integrated the system to their credit assessment processes have transformed and enhanced their credit risk management processes. “We are providing an extra dimension to their credit assessment process, details that previously the banks may have been unaware of.” Indicated Kahwa. 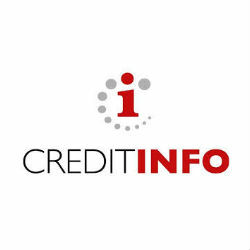 Creditinfo Tanzania provide quality data from the Bank of Tanzania’s Credit Reference Databank; automation of the capture and decisioning of new credit applications, development of bespoke scorecards and credit risk management consultancy.